If you have sustained a serious injury due to another person’s negligence, it’s important to fully explore your legal options. In many cases, you may be entitled to compensation for your medical bills, past and future lost wages, pain and suffering, and more. At Shultz & Rollins, our Yuma and Tucson personal injury lawyer department has decades of experience helping people like you obtain the full and fair financial recovery they deserve. Shultz & Rollins is a leading personal injury practice located in Tucson and Yuma. With over 90 years of combined experience, our Yuma and Tucson personal injury lawyer departments have handled cases involving almost every kind of serious injury imaginable. 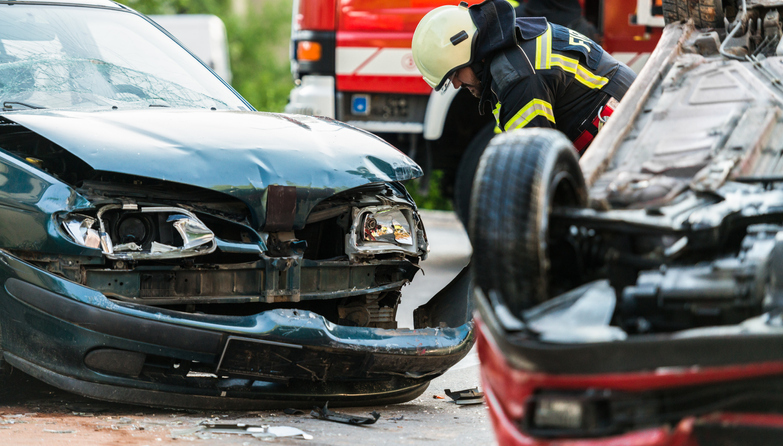 Car accidents are responsible for the vast majority of personal injury cases in the U.S. These collisions typically happen due to negligence, for example when someone drives recklessly or fails to follow the rules of the road. When this occurs, the careless driver can be held responsible for any injuries you’ve sustained. When a doctor or health care professional fails to provide skilled or competent care and a patient is injured as a result, it is known as medical malpractice. These cases tend to be extremely complex and require the assistance of the best personal injury lawyer in Yuma and Tucson available. Slip and fall cases are also a common form of personal injury lawsuits. Property owners have a duty to ensure that visitors are safe by maintaining premises that are free of hazards. Dog owners are responsible for bites and other injuries caused by their pet. Arizona is a “strict liability” state, which means owners are held accountable even if the dog has never bitten before and the owner had no reason to believe it would bite. Yuma and Tucson assault and battery cases involve someone being injured intentionally. As such, the personal injury lawsuit in civil court is often accompanied by a criminal case against the perpetrator. It's important to get a skilled and knowledgable personal injury lawyer in Tucson or Yuma, AZ who can help you. When a doctor or healthcare professional fails to provide skilled or competent care during the mother’s pregnancy or labor and delivery and an infant is injured as a result, it is known as a birth injury claim. The most common avoidable birth injuries are brachial palsy, brain injuries, facial paralysis, fractures, cephalohematoma and caput succedaneum. After discussing treatment options with your doctor, it is important to get a skilled and experienced personal injury attorney who can help you. The Arizona Supreme Court decided in 1967 that the duty of care owed by a land owner depends on the status of the entrant on the property. Injuries can arise from a homeowner’s negligent acts or conditions on the property such as a swimming pool or hazardous material. These cases involve many factors and require a skilled Arizona personal injury attorney. In Arizona, per the Department of Transportation, there were 1,702 pedestrian accidents in 2017 with 226 pedestrians killed. These accidents typically happen when someone drives recklessly, distracted, inebriated or fails to yield the right-of-way to a pedestrian. It is important to consult a personal injury attorney and determine your legal options. Traumatic brain injuries can result from either a closed head injury or a penetrating head injury. Many traumatic brain injuries are caused by falls, violent attacks or accidents involving automobiles, motorcycles, bicycles, pedestrians. These types of injuries often result in long-term limitations or permanent disability such as quadriplegia, paraplegia or loss of cognitive functioning. This results in significant damages, including lost wages and lost earning potential, in addition to the medical expenses and costs associated with lifetime attendant care. When a child is injured on school premises, such as sports injuries, sexual assaults, broken bones, brain injuries and brain damage from falls, a teacher or school can be liable in negligence. There are shorter deadlines in school negligence cases, so it is important to consult with an Arizona personal injury attorney quickly. Our personal injury attorneys have helped clients who suffered burns due to another’s negligence. Burn injuries can result from visits to restaurants, traffic accidents and falls. It is imperative to seek medical attention and consult a personal injury attorney to weigh your legal options. When a healthcare provider or facility fails to provide skilled or competent care and a loved one commits suicide as a result, the healthcare professional or facility can be liable in negligence. Our personal injury attorneys have experience handling these types of complex cases. Like all states, Arizona has established a time limit on filing a claim. You have two years to file a personal injury lawsuit from the date of your accident. If you have a hidden injury that is discovered later, the statute of limitations starts on the date you discover the injury. Arizona requires drivers to carry basic auto insurance coverage. The state also uses an “at fault” system, which gives the injured party the option of settling the claim with an insurance company or filing a personal injury lawsuit to seek damages. Before settling with an insurance company, it is crucial you consult an experienced Arizona automobile accident attorney, such as the attorneys here at Shultz & Rollins, Inc. Some states have damage caps to limit the compensation that you may receive in certain cases and for specific injuries. Arizona has no caps on damages in personal injury cases. Once we have filed the lawsuit, discovery will begin. During this process, each party will investigate the other’s legal claims and defenses. As that period ends, our attorneys will speak to the responsible party’s lawyers about a settlement. If settlement talks fail, the case will go to trial, where we will fight to prove your case and maximize your compensation. What Is The Process For A Personal Injury Case? Do All Personal Injury Claims Go To Trial? Will The Insurance Company For The At-Fault Party Pay My Doctor Bills As They Are Incurred? What Do I Do If An Attorney Or Attorney's Representative Calls Me After My Accident? How Do I Know If I Have A Personal Injury Claim? How Can I Afford An Attorney? What is a Contingent Fee? And What Is The Usual Percentage Of A Contingent Fee? The length of time it will take to recover compensation can vary, based upon the extent of the injuries, the need for future medical treatments, and whether a lawsuit is filed. The process starts with an initial interview with our personal injury lawyer. Once Shultz & Rollins takes on your case, we will request your medical records, medical bills, and evaluate issues such as loss of income from work, the long-term impact of the injuries you sustained, and other facets of your case. Once it has been valued, we begin the negotiating process to pursue the maximum compensation. Do All Personal Injury Claims Go To Trial? Many injury cases are settled outside of court. However, it is imperative that your case is managed by a trial lawyer, as if the insurance company fails to make a reasonable offer, it may be necessary to bring a lawsuit to achieve justice and full compensation. We understand the importance of getting your case resolved and do all we can to speed the process, whether in negotiating a settlement or filing a lawsuit. Will The Insurance Company For The At-Fault Party Pay My Doctor Bills As They Are Incurred? In cases in which a settlement has not yet been finalized, the insurance company will not be paying your medical bills until your case is resolved. Most medical providers understand this process, and we can work with them, so you do not face undue stress while your case is in progress. What Do I Do If An Attorney Or Attorney's Representative Calls Me After My Accident? Unfortunately, what you say in such a conversation poses a risk of affecting the final outcome of your personal injury case. Advise any lawyer or attorney’s representative who contacts you to direct all questions to your personal injury lawyer, for your own safety. If another party committed an act of negligence that led to you suffering injuries, you likely have a valid personal injury claim. At Shultz & Rollins, we provide legal services on a contingency basis – we are only paid the legal fees after your case is successfully settled, or a jury award is achieved. What is a Contingent Fee? And What Is The Usual Percentage Of A Contingent Fee? Contingent fees are fees paid to a lawyer when the case successfully recovers compensation for an injured person. The fees are a fixed percentage of the settlement or jury award, typically about one-third of the amount paid. Why Choose Shultz & Rollins? If you have been seriously injured, it’s best to have a personal injury lawyer to help you navigate the process of recovering financial compensation. Not all law firms are equal in skill; with Shultz & Rollins, you will be represented by talented, experienced trial lawyers who demand fair treatment, and who will pursue the maximum in compensatory damages. You owe no legal fees unless we are successful and will not be paying out of pocket. A successful personal injury case is based in large part, upon the legal skills and experience of your attorney. Our trial attorneys at Shultz & Rollins have achieved an extraordinary level of success in personal injury law. Mr. Rollins, our founding attorney, formerly served as an insurance company defense attorney, providing him an uncommon depth of knowledge about the tactics employed by insurance companies– a significant benefit when negotiating the terms of a settlement. Mr. Shultz has a similar background, formerly working to defend Fortune 500 companies facing large insurance claims. He has turned the focus of his career to protecting the rights of the injured in Arizona. Ms. Scholtemeyer brings unique talents to the firm, with a background in debt collections for creditors and lienholders, providing important insight into the process of negotiating payments for medical bills and liens in personal injury cases. Both Mr. Shultz and Mr. Rollins are rated AV Preeminent by Martindale-Hubbell, indicating that their peers in the legal profession consider them to perform with the highest level of professional excellence. Focused Upon Personal Injury Cases in Tucson, Yuma, and All of Arizona. At Shultz & Rollins, our practice is focused upon personal injury law. With years in practice and an extensive track record of success, we take our duty to the people we represent extremely seriously. Our goal will be to help you to achieve justice and the highest level of compensation for damages possible, based upon the facts. Once we take on a personal injury case, we give the full attention of our legal team. We have access to professional resources such as accident investigators, medical experts, financial experts, and others. Our cases are carefully crafted, well-supported by evidence, and have resulted in many million or multi-million dollars verdicts and settlements. The quality of your personal injury attorney is the most important point in achieving a positive outcome. You can trust us to fight for your rights and interests, and to pursue the maximum for you, whether in negotiating a settlement or in court.